A recent post on a forum of UK freelancers to which I subscribe asked “Why do we write?”. Not surprisingly, given the context, most answered “To make money” but many answered with something like “To shout about something”. I can associate with the latter response but not with the first, even though for much of my life my income has derived to a great extent from my ability to write, either as a journalist or on the other side of the fence in marketing communications. And now, having recently retired from my part time job, I am about to start up a business offering a writing service, for money (to be launched on ‘Small Business Saturday’, 6 December, with yet another WordPress website). Nevertheless, although I may find myself writing blogs for pay (and did so, indirectly, in my previous employment) it is not why I post on the three WordPress personal blogs I run. Moreover, having been unable to post for a period and, even now, less frequently, for a variety of reasons including ill health, I feel guilty for the omission. Why is that? This set me thinking again about the question “Why do we blog?”. Some do it for money but not, I think, the majority. What is more, it seems that for the majority it is the subject of the post which is of interest, rather than the writing itself. So it does not seem to be driven by the same urge as that for the so-called ‘creative writer’. Some obvious examples can be seen in two categories of blog which I follow. First, photography blogs, which often (the most popular?) have very little text, if any, but when there is it is more often about the subject of the photo(s) or the technique of photography, rather than writing for its own sake. The second example is blogging about food and cooking. Of course, as these are addressing two of my hobbies I enjoy following them but some, and many more texts in print, I read only because I enjoy the satisfaction I get from reading excellent writing. An obvious example here is a poetry blog but there are a few bloggers I follow who write about their everyday lives and the pleasure reading them derives not from what they write but from how they write it. The subject is irrelevant. 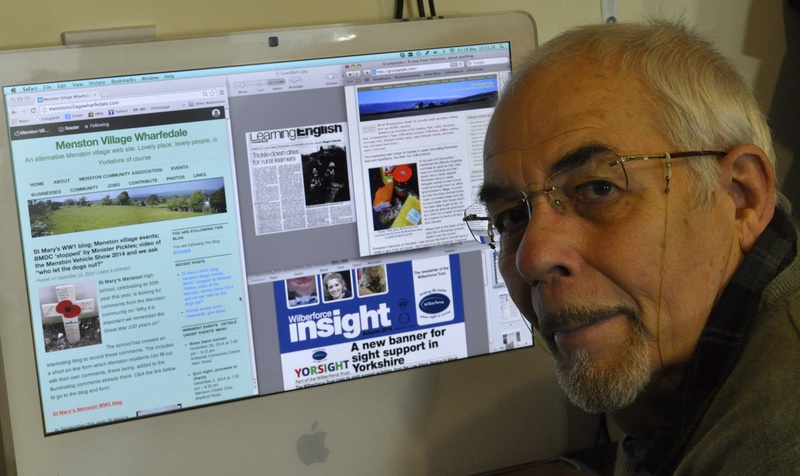 I can give an example of reading for the writing from my local daily paper, the Yorkshire Post. With the exception of my ‘classic’ vehicles and a few super cars, motor vehicles do not interest me at all, yet I look forward to reading the paper’s motoring feature writer, Fred Manby, because he writes well. He occasionally digresses into a restaurant review and I read it with pleasure for the same reason as I’ve little interest now in eating in restaurants. Returning to my opening question, I have concluded that the majority of bloggers do not post because they enjoy writing for its own sake, but with some other motive. I just like the whole writing process. I like it when I write something that makes someone laugh, or shake their head, or react in any number of ways. And I like to write anything that catches a person’s interest and makes them want to read more, so maybe I’m just looking for attention, or approval. I guess I don’t really know, other than to say that writing makes me feel good about myself. Oh well. I blog to share. Everything from the music that moves me, and makes me want to sing it out loud, to the collaborations I do in writing on line with a great group of people.